I didn't expect much last night, so I went to sleep like a normal person," says Layos, who spends most winter nights under the stars of Alaska photographing auroras. "I happily woke up from a dream to this sky around 2:30 a.m.!" What happened? A crack opened in Earth's magnetic field--something that happens often during weeks around equinoxes. Ambient solar wind poured in to fuel the unexpected display. 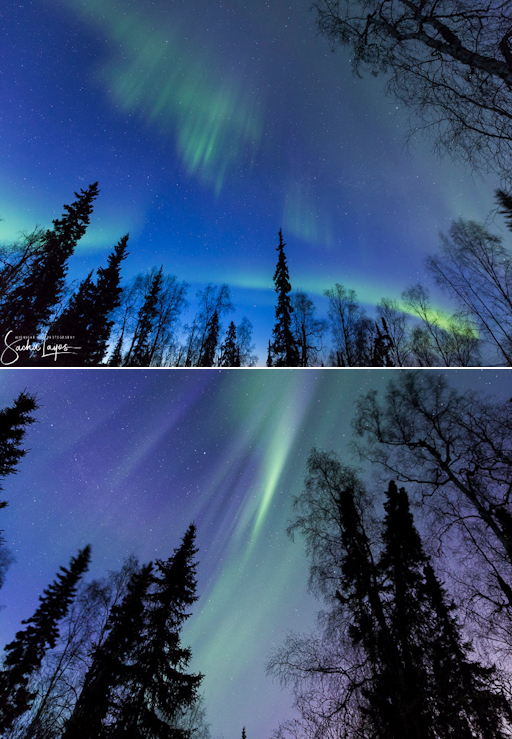 The green in her photos shows that northern aurora season is not yet over. However, the blue in her photos shows that the end is near. Enjoy it while you can.